A picture of the receipt (recipe) for Fresh Strawberry Ice Cream taken inside the pewter sabotiere. 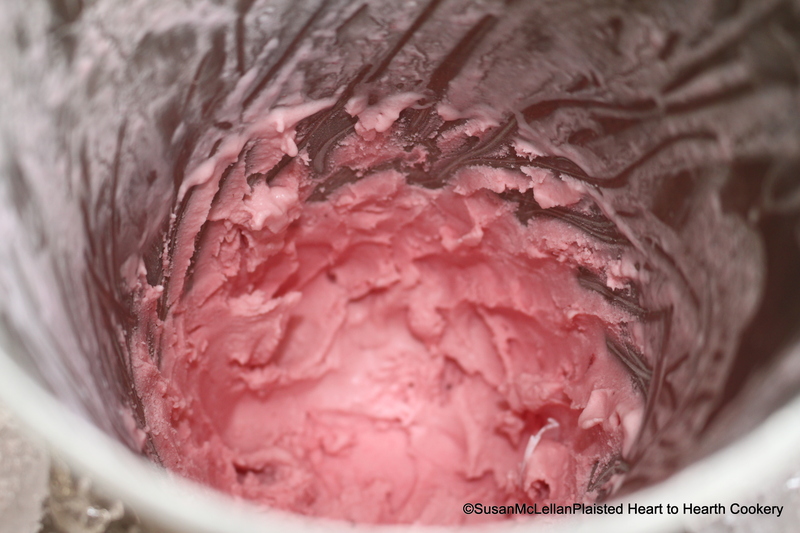 A pint of fresh strawberries were mashed through a strainer and a pint of cream and sugar added then processed with the pewter sabotiere and scraper. With this post, I have posted 1200 food history bites!